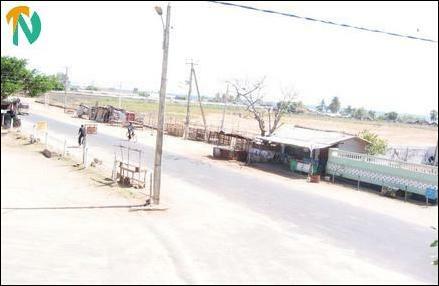 Shops belonging to Tamils and Muslims were closed. In some places Sinhalese traders also closed their business establishments. All Tamil and Muslim schools were closed as student's boycotted classes. State and private banks were closed for business. 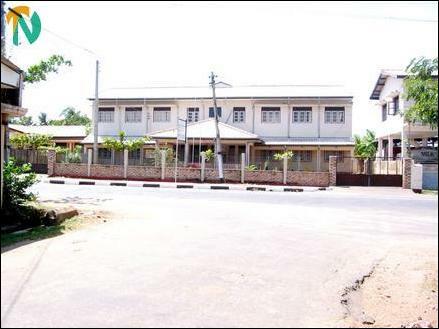 Government departments that come under central government and North East Provincial Council and post offices did not function, as officials and employees did not report for work. Law courts did not function as litigants and lawyers failed to report, police said. The organizers of the general shut down said the hartal was a success and this was the first time all the government offices under the central government in the eastern port town were closed down due to the absence of employees. 1. To reiterate that the present peace process can be continued by establishing the interim administrative structure as demanded by the LTTE who have been accepted by the Tamil people as their sole representative. 6. To condemn the atrocities now unleashed against Tamils by the security forces. 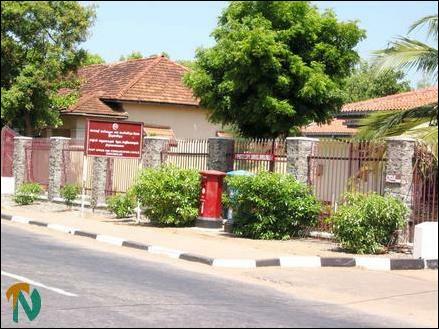 Trincomalee general post office seen closed. 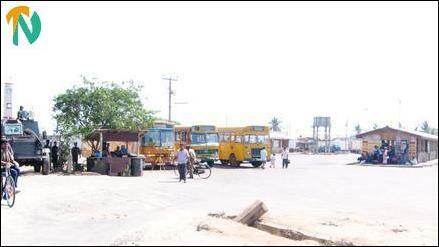 Trincomalee bus stand with three long distance buses waiting without passengers while SLA armoured vehicle patrols the town.